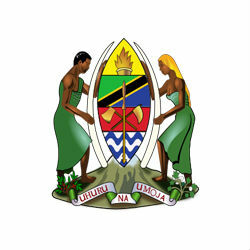 In a project that is expected to cost USD 50 million, the Government of Tanzania has begun the construction of 30 new silos to help address the growing need for additional storage in order to accommodate the surplus of Tanzania grain and rice harvests. According to the Tanzania Minister for Agriculture, Food Security and Cooperatives, Christopher Chiza, in line with the Big Results Now (BRN) food initiative, the government not only plans to construct new silos, but will also invest in the reparations of existing granaries. Speaking at the ministry’s 2014/2015 budget proposals in parliament, Chiza indicated that the food excess in Tanzania included 354,015 tons of maize and 466,821 tons of rice, however, these initial projections are expected to increase. Hon Chiza went on to suggest that the grain surplus in Tanzania would be even larger given that many of the country’s farmers were already reaching out to him with needs for additional storage to accommodate their bumper maize harvests.